Happy to report that I have no LNAV problems so far. But upon being established on the glideslope, speed is correctly above vref, and just a gentle 3 knot headwind, the plane just randomly disengaged from the glideslope and plummets to the ground. LOC and G/S was established and annunciated in the pfd before it happened. It was on runway 19L of KSFO. Another user in avsim also reports the same issue. Did you switch the nav source to VOR/LOC1 before you activated APPR? Yup! It captured the LOC and G/S fine at the beginning. It was during the descent to the runway that it suddenly decreased fpm and headed to the water. I can also agree with this, minus the frame drop. Green needles into KIAD ILS01R it tried to fly me into the trees. was able to disconnect and land. Flew the ILS pretty well, until about 500' above mins, then it pitched over. Just to make sure I use the same settings: Did you use Activesky (or any other weather engine) and if it's ActiveSky, was the enhanced turbulence option active? In my case, I use activesky with Turbulance effect scale of 10 and Enhanced turbulence is turned off. OK. I just tried KIAD with Turb scale 100 but without enchanced turbulence effect. It was hard to hold a speed, but the glideslope was no issue. What I did was to take off from rwy 01R, turn right to 190 while climbing to 3000ft. After passing the airport I turned to 180 for a bit and waited until the glideslope marker was way up the scale. Then I turned right to 340, activated APPR and waited for the LOC and subsequently GS intercept. My speed at the GS intercept was about 200 KIAS with flaps 8. Is there anything that was significantly different on your attempt? I did two flights today KDFW-KIAH-KDFW. The first flight was flawless, no deviations from the course on FMS or on the ILS. The second flight went fine until I was on the ILS18R into KDFW. I captured the LOC in HDG mode (NAV source in LOC1) at 200kts and flaps 1. Once I was established and a dot below the GS I slowed down to 180 with flaps 8. The GS appeared on the PFD as if the glide was captured, though I was still slightly below the glide. The aircraft then pitched up to try to capture the GS. This pitch up was pretty extreme 20 degrees or so. I of course then disconnected and manually flew the approach.Throughout htis approach the pitch bar on the FD was way high and incorrect. I'll attach a screenshot. It seems like it tries to chase the GS unless you've captured it dead on? I'll make sure that Hans see's this. All these flights were made from takeoff to landing (same airport, same runway) with a flight altitude of 4000ft. Glideslope was captured and held to the runway (I generally disengaged the autopilot at about 30ft). To be honest, I'm starting to think that the glideslope issues are caused by some external factor (some add-on I don't have, may be AP disconnect due to signal noise, I can only guess). If I add up all the flights I did in the past days, I end up around 20. And not a single one had a glideslope problem. I've made successful approaches into San Diego, San Francisco, Los Angeles, Boston, Atlanta, Frankfurt, Innsbruck, and Amsterdan without any issues. Interesting. I'll keep flying and if it happens again I'll try to report the intercept angle, altitude, activesky settings, etc. I'm still having issues with flying an ILS. I'm on 1.0.6 and the autopilot is unusable in APP mode. It nose dived and banked hard right when flying an ILS into KATL 27R. I had to hand fly it in. In this picture you can see the Flight Director is way off. The aircraft also had a very difficult time just intercepting the localizer from a very mild angle. I've been having these issues since v1 and I'm really starting to get frustrated. I'm close to just giving up on this thing. I encountered something very similar with the Maddog X yesterday (stable on the Glideslope and then suddenly heads to the ground for no obvious reason) and there is a long thread in the FSLabs forum regarding a similar problem. Apparently it is connected to Addon sceneries. Strangely enough, some users have the problem at certain airports (LSZH for example) and not on others. While for some users it is just vice versa. Not sure if it is the same here, I just thought I mention it. I tried a lot of airports, with the add-on sceneries of customers as well as default. But I didn't encounter the problem a single time. I wasn't aware that a similar or even the same issue exists with Maddog X and FSL as I don't follow their forums. But it would explain some things. However, I would still like to know what the reason is and, if possible, find a solution for it. Just to add to what to Mikealpha said, I was having a problem with ILS 26 at KPHX. LOC wouldn't engage (solid red) with Add-on scenery, but locked up solid everytime with existing FSX airport. Just my two cents. 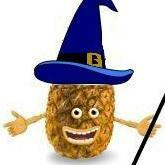 I have completely the same issue as PineappleWizard wrote on March 3rd. LNAV and Localizer capture works fine, glideslope capture as well. I usually fly the approach manually. Sometimes it happens that I get a bit low or high on the glideslope. In the CRJ i witnessed that, as soon as I am either one dot below or above the glideslope, the flightdirector wants you to pitch either 10° up or 10° down. Even after catching the glideslope again, the flightdirector still shows 10° up or down and ignores that the plane is perfectly fine on the glideslope again. It happens to me at any airport I tried, but only when I get either low or high on my manually flown approach. I am using version 1.0.6. I'd like to report the same as MiHei, where ILS 26 at KPHX has numerous problems with the CRJ (works fine with my other addon planes). The CRJ does work fine on runways 25L and 25R, but for 26 everything goes awry. It's time to get involved in this topic...IMHO the ILS GS APP are way too buggy (same as the reports here). Just now I finished a flight from LPMA to LPFR. During flight, the winds changed at LPFR so I had to enter RW28 instead of RW10, as instructed by the ATC. I first captured the LOC flawlessly in NAV mode then switched to APP mode (GS intersection from below). GS was captured and I kept slowing down to flaps full and ~160kts, point where I disconnected AP. During my stable manual approach (with centered "vertical green diamond"), the vertical FD bar went berzerk. It hit bottom at -10° and never came up during my entire approach. I realized that if I would have stayed in AP mode, I would have gone in a dive! Nevertheless I landed safely but visual in Faro. In general I find the FD guidance realy bad especially the V guidance. You capture the GS from below and the CRJ flies straight (you see the PAPI turning white), then it dives with -1200ft/min below it (PAPIs going red), comes again up...in general you could say the CRJ "bounces" it's way on the GS. I have just started recently experiencing this problem. Cannot get the aircraft to intercept the localizer when APPR selected in FMS1 mode, or if I switch to LOC1 mode, the aircraft bank steeply and nosedives into the ground. I recently installed ActiveSky 4 for the first time; don't know if this is related. 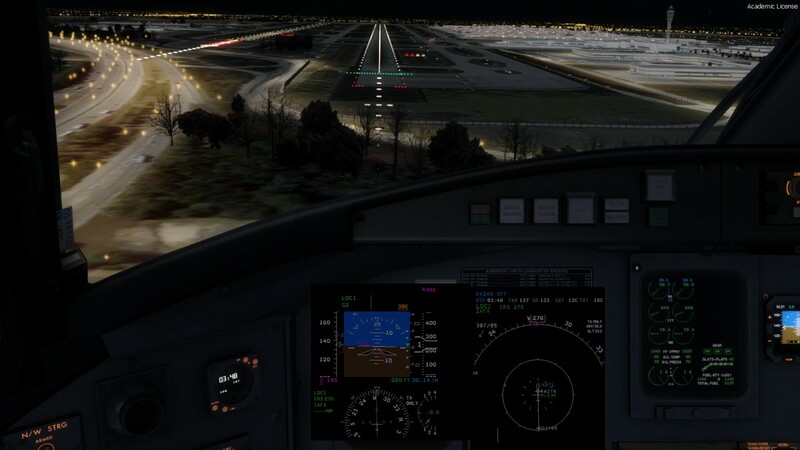 @av8r172 would be great if you could specify more detailed information: what ARP / RWY / STAR / default or addon scenery etc. Also try to fly some patterns to see if the problem can be reproduced. Flying patterns is the simplest way to test one particular approach and it's how the DEV (and others) will try to test your scenario. @GEK_the_Reaper that's exactly what I did. This problem occurs randomly, at default and payware airports like FT Boston. I've tried in patterns using LOC1 as the nav source and FMS1. This issue doesn't affect every flight. Today it is working fine. But when it doesn't work, when I arm APPR, instead of GS and LOC arming, LOC arms, but does not capture, and PITCH mode arms (instead of GS), so obviously it doesn't follow the glideslope. As I said, I only started experiences this problem after I purchased Active Sky 4. I can't see how these two things are related, but that is what I've found. I am using version 1.0.6.0, so perhaps the issue has existed since I installed that, but has not surfaced until now. I will continue to try to isolate the problem to figure out under what conditions it happens, but right now, everything seems identical. EDIT: After further testing, I haven't run into any problems arming APPR when 'green needles' are selected, but when the FMS1 is the nav source, the blue localizer needle doesn't react at all. I used to be able to arm the approach without switching NAV sources manually, and when the localizer came alive, it would intercept. Why can't I do this anymore? I mostly fly with ATC which will vector you in for finals. In this case I have to use HDG mode for the AP, manualy set radios to the ILS freq, switch from FMS1 to LOC1 and always capture the LOC perfectly in NAV mode. This procedure is flawless (I think). So I wonder if the ILS GS issues could be related to the modes that are used??? I will do some testing on my side and report back if I find something. Maybe @Hans Hartmann could have a look into this. If you are flying a NextGen CRJ-700 or 900, you can arm APPR from either mode and it should capture. If you are flying a non-NextGen 200 or 700, you have to switch the nav source to LOC1 to arm APPR. 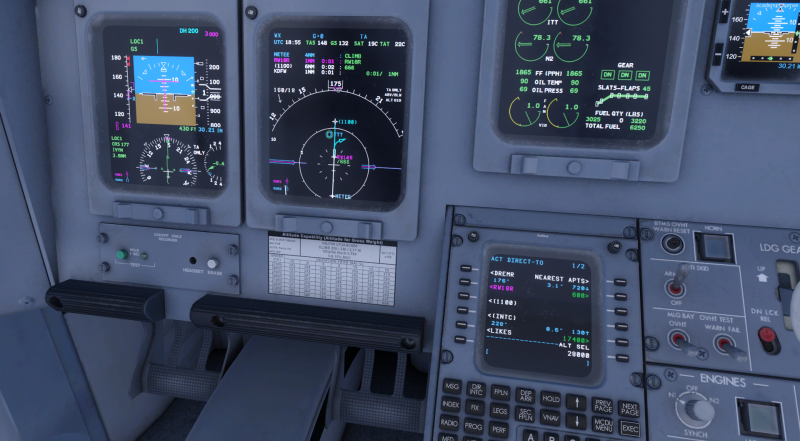 I know that Aerosoft has not simulated all NextGen features (no VNAV button on the MCP). However, I used to be able to arm APPR from the FMS flight plan and now I can't. The blue needle (LOC final approach course pops up when I tune the appropriate frequency, but it does not center up, and whenever I try to arm APPR from this mode, ROLL and PITCH arms instead). I finally have been able to fly again and have updated the CRJ to the most current version. What's happening for me is that upon capturing the glideslope, the aircraft tends to "porpoise" wildly to chase it all the way down to the runway. Ranging from pitching down to roughly -1800fpm to actually climbing at points as well. The CoG is correct, I'm quite certain I've flown the approach correctly as well. I've flown several flights between KATL-KMSP-KDTW and used various runways. I recall the plane not doing it so aggressively in earlier versions.